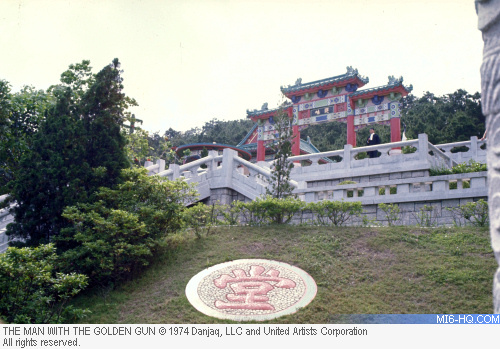 Principal photography for 'The Man With The Golden Gun' was supposed to start in Hong Kong on April 9th, 1974 for five weeks, but a last minute switch in the schedule saw the crew fly to Phuket instead. 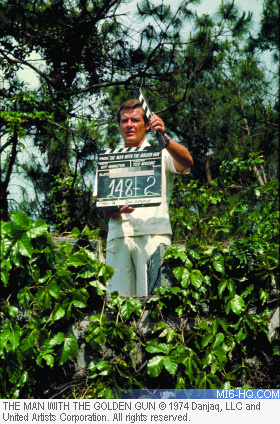 When filming on the island wrapped on April 26th, the cast and crew traveled to Hong Kong where production conditions were far more civilized. After a short travel break, shooting started up again on April 29th in Hong Kong. The first scene to be captured was the exterior of Hai Fat's estate. The Dragon Garden at Castle Peak in Kowloon was used as a double for the fictional Thai setting, including the pool where James Bond encounters Chew Me. The rest of the shoot used locations that were actually in Hong Kong in the story. Bond, with the help of agent Mary Goodnight, traces Miss Anders to the Peninsula Hotel. 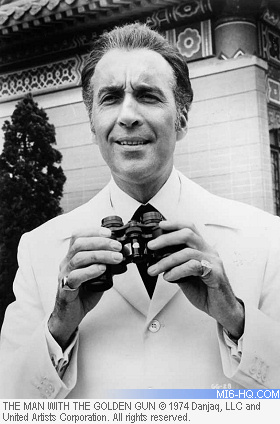 Questioning Anders, Bond discovers that Scaramanga has an appointment at the Bottoms Up Club on Hankow Road. The Man With The Golden Gun From London to Beirut, Hong Kong to Thailand... MI6 follows 007's travels throughout the 1974 adventure "The Man With The Golden Gun"